My “sister’, Georgine, had her birthday lunch yesterday.Every year I have asked her what she wanted and she would tell me the story. When her Mom was in the nursing home, they would go our once in a while to Olive Garden, where they would order Pasta e Fagioi, a glass of wine and a salad. So to honor my sister’s request, I cook up a pot of pasta and beans and they are actually very good. grated Parmigano/reggiano cheese for the table. Feed four generously,,,,we had a little left over for lunch. 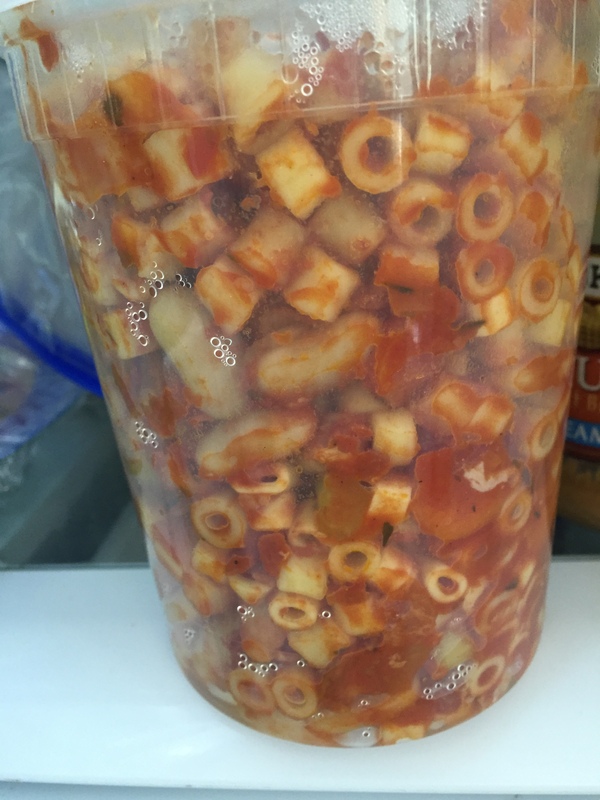 Honest, the leftover container doesn’t do it justice….it is good on a chilly day!